I LOVE DISCOUNTS! I'll shout it from the mountain tops; I'll bust your ear yelling in a loudspeaker; I'll scream it to whoever listens. I have always been a bargain shopper, it's just in my blood. As long as I can remember I was automatically attracted to the sale rack. It's like a magnet. 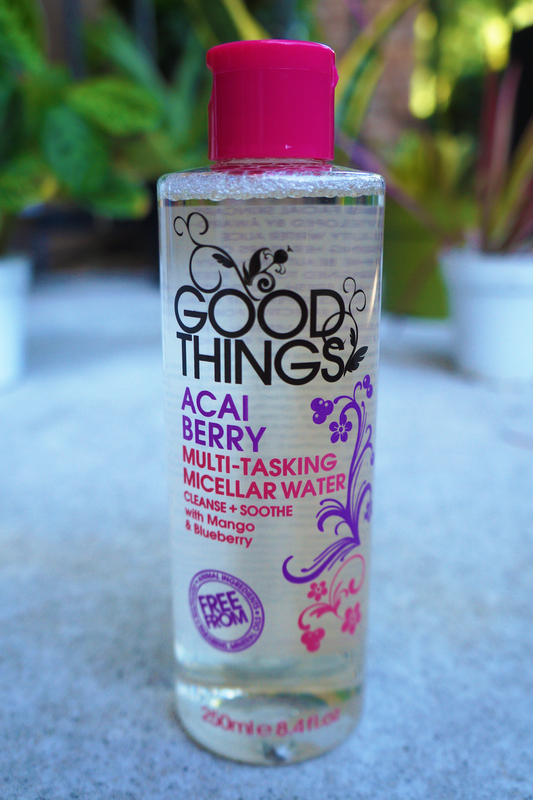 I bought this Good Things Multi-Tasking Micellar Water Cleanse + Soothe with blueberry & mango at an outlet store. Was it Marshall's? Ross? TJ Maxx? I'm sorry y'all! I genuinely can't remember, but it's one of those stores that I am in love with. The bottle reads that the micellar water is made in the UK; it's free from parabens, mineral oils, sulfates, & animal ingredients. In short, it's pretty much right up my alley which is precisely why I purchased it in the first place. Duh! I also judge books by their cover or in this case products by their packaging. It reeled me in like a fish on a hook. The bottle says that it's a light but effective cleanser & can gently dissolve eye makeup. "Aha!" I said to myself. "I'm going to test this out & see if they can live up to the claims." I like when I buy my own items because I can review products at my leisure. I can really get a feel for the item & try out for weeks at a time, whereas if it's a free or sponsored item there's the pressure to deliver a post in a certain amount of time. I took my time with this. Initially I was really wishy-washy about it. When I first tried it in my new face products post, I wasn't sold on the whole micellar water craze. I had literally read reviews for months about the holy grail, the gift from the gods, the blessing from the heavens that is micellar water. I tried it a couple times & just didn't get it. "This is it? This is what people have been raving about?" I asked myself. After several applications it started to grow on me. But I have to admit I don't use it as a cleanser by itself. It kind of leaves my face feeling a bit sticky & I don't trust it to wholly clean my skin. After applying this I wash my face with my Palmer's Facial Milk Foaming Cleanser to ensure my skin is squeaky clean. I normally use a cotton round & liberally douse it in the micellar water. Seriously, you could extinguish a fire with how much of that stuff I pour on there. I was super impressed with how easily it removed my eye makeup. For some reason the first few times I tried it it would make my eyes burn but now it doesn't. I believe that's because I've mastered the art of removing eye makeup with micellar water -- gently rub the lashes only. I would purchase this for the sole purpose of being eye makeup remover! 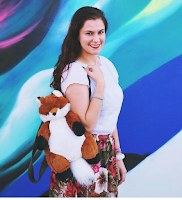 In this post I revealed that I have mild eczema, so I've tried to make the switch to natural products or products geared toward sensitive skin. Overall, I really dig the Good Things micellar water. It's gentle but effective. It's affordable but it works. Like I said, I would repurchase this simply as an eye makeup remover, especially since it's 150 mL or 8.4 ounces. Bargain! Subscribe to my newsletter for EXCLUSIVE social media tips! This is one of those products that I've heard so much about but have never actually tried. Fab review, Carmen! I'm a huger fan of micellar water, it does such a great job. I love the packaging of this one and I'm intrigued by the mango and blueberry! I've seen this floating around the internet, but I haven't been able to get my hands on it! I was skeptical of Micellar water as well-- but once I tried Bioderma's I was pleasantly surprised! I have severe eczema so I'm always on the look out for products that work with my sensitive skin. I will put this on my list to try. 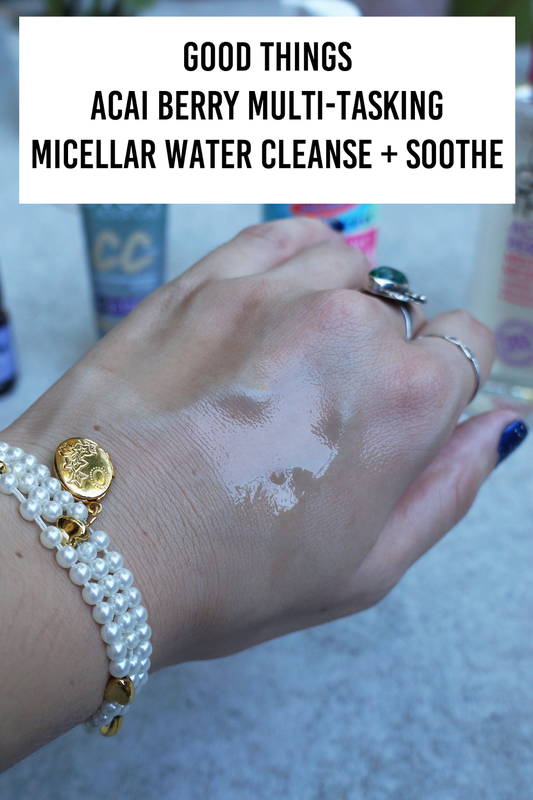 I have been reading a lot about micellar water. I have yet to try it. Looks like a nice one! Great review!! I have never used micellar water. Thanks for sharing the review with us. Have a great week! I really love a good old bargain too! I find it soo exciting when you find something at an amazing price- it never gets old :D! I have used many micellar water products but they just don't suit my sensitive skin ;(! great review! i'll give it a shot! this is an interesting post... I've never heard of micellar water before, and I probably would have been attracted to it too because of the acai berry, mango,and blueberry language. It looks pretty fun to use, but I usually use olive oil as an eye makeup remover instead. I have read a lot of good reviews on this brand but have yet to see it here in Canada though. And yes to good discount! The cheaper the better! I haven't heard of this brand before, thanks for sharing! I usually use Bioderma or Marcelle micellar water! This water seems to work like a dream - fabulous! I've always been curious about these as well but I have super sensitive skin and I always get punished if I try new things... Aka I'll wake up with 3 new big honkin' zits or a rash. Maybe i'll try one of these sometime soon! Everyone raves about them but I heard it takes some getting used to. Lovely post Carmen! !